No matter how much you exercise, stubborn cellulite can remain—so frustrating! 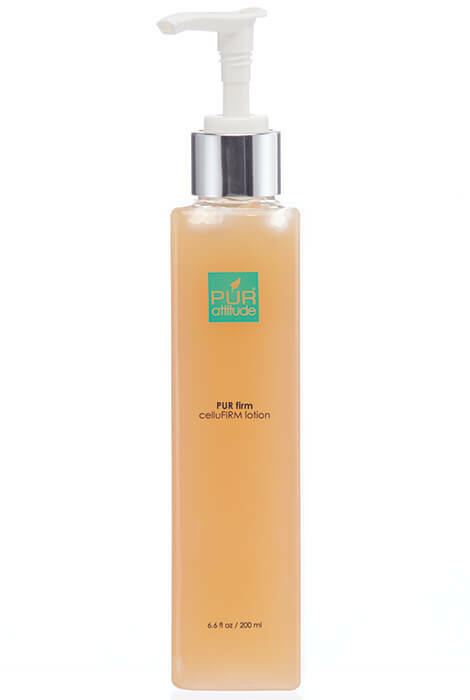 Reduce the appearance of cellulite and achieve firmer looking skin with safe and natural PUR™ CelluFIRM lotion. Formulated with triple action technology to stimulate micro-circulation, the lotion smoothes the appearance of the skin and visibly reduces dimpling. Contains Hyaluronix technology instead of water to help hyaluronic acid penetrate deep into the skin, delivering nourishment and hydration to crucial collagen layers. 88% of patients showed a significant decrease in thigh circumference when using this clinically proven technology. Massage lotion over areas of concern and enjoy the end result—a firmer, more tone looking body.